Sounds of Christmas. It's your own Performance! Rhythmic Training and Sight-Reading Music like never before! 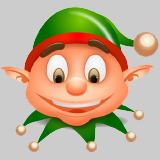 This app uses the core motion detector in your iPhone to read your movements in real time with no delay, turning the rhythms you play into actual Christmas songs!!! You can follow the rhythms in the sheet music scores within the app or play a game trying to guess the name of the song you've selected. 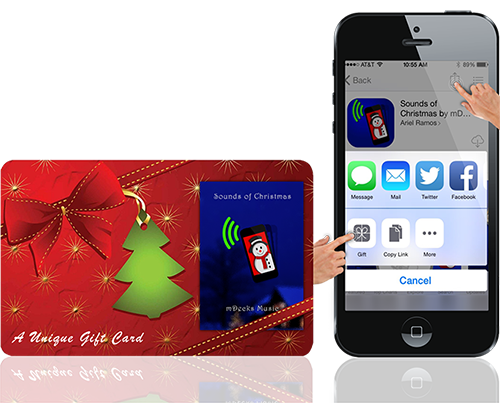 More than 30 Christmas Songs and Sounds where YOU ARE THE PERFORMER. Entertain family and friends with a modern twist on traditional Christmas tunes. 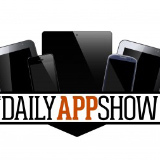 An amazing app that will keep you singing and guessing songs all day. Ideal for kids an adults. The most original Christmas Gift this year! This season, send the Christmas sounds we all love. It's your own performance! Challenge your rhythm with these all-time Christmas classics. Jingle Bells, Santa's Sleigh, Snowballs, etc. 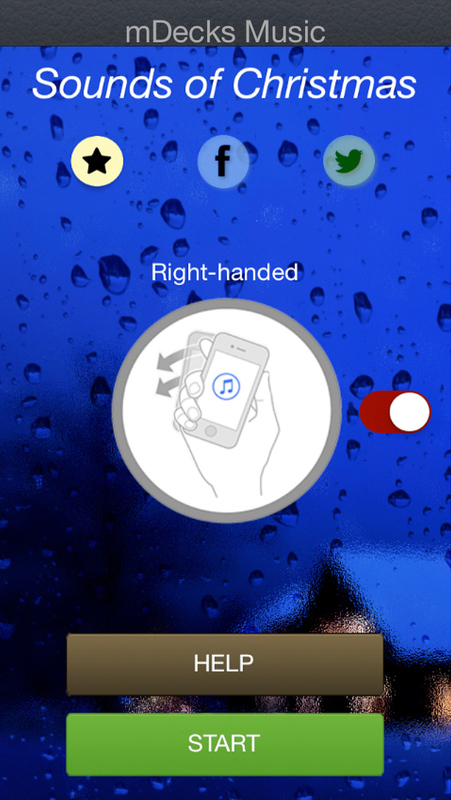 Play them by using different iPhone-shaking techniques. 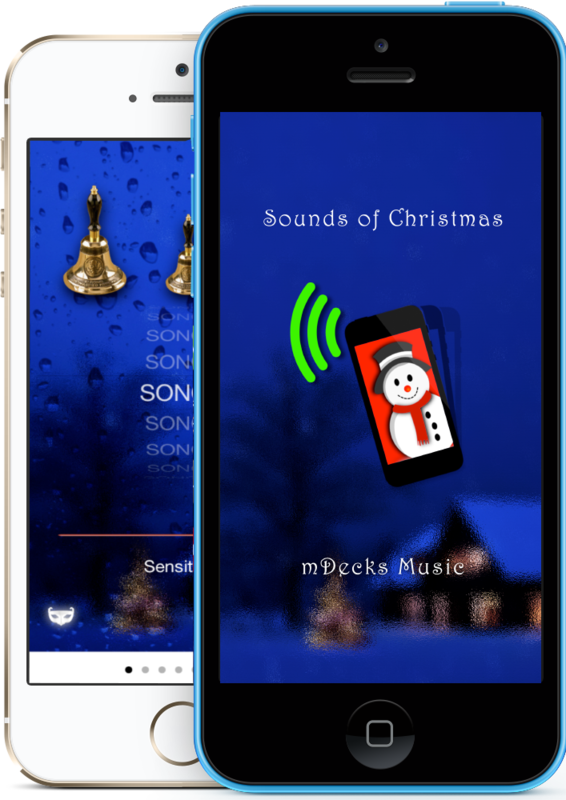 Sounds of Christmas is only available for iPhone. Compatible with iOS 7.1 and up. 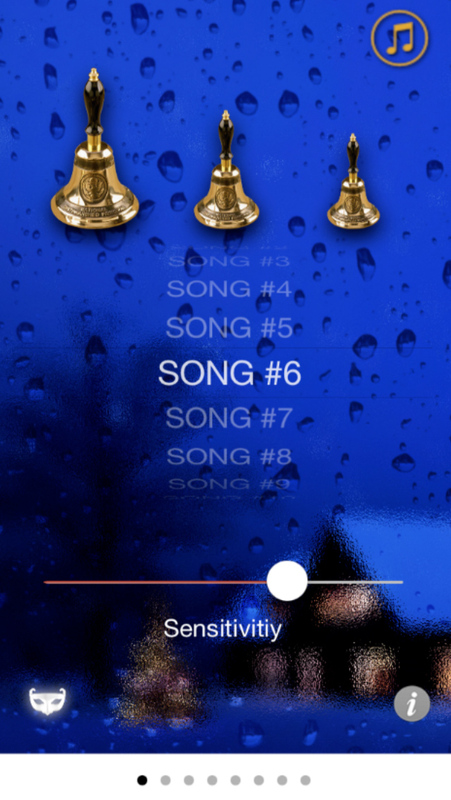 Choose a song by number and play it using your iPhone as hitting imaginary bells. 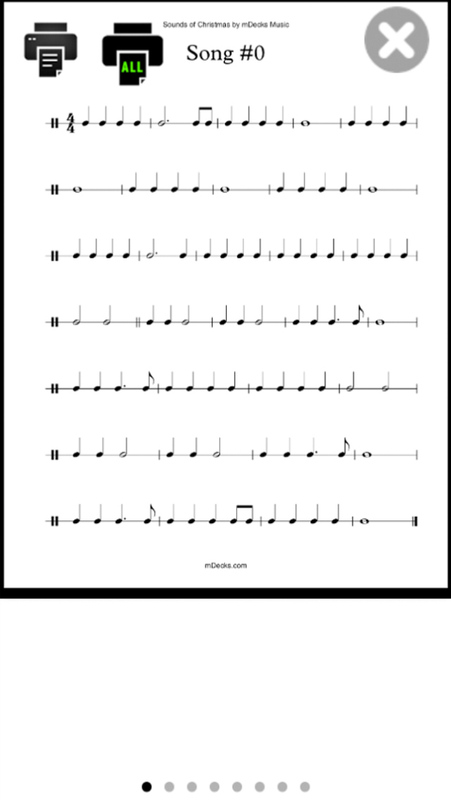 If you want to learn how to read music rhythms, or you just want to practice your sight reading skills, print the score and play the song by following the rhythms. Now, can you name it? Play a song without knowing which one it is! How good is your Rhythm? 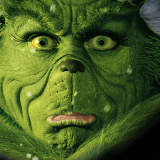 You can challenge your sight reading, or learn how to read while having fun playing Christmas Songs. It's your own performance. You might find hidden songs in these Christmas classics, and may be even come up with a new one! Play Christmas sounds we all love. We don't want to give you the solution for the name-that-song game but we will list a few of the songs included in the app. Can't believe I can play triplets now! Great app, thanks. 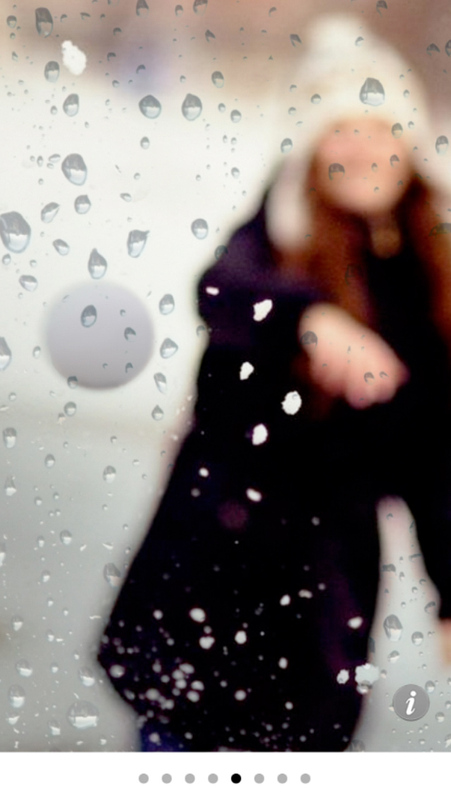 There are three different shaking techniques. • Songs: pretend you are hitting virtual Bells in front of you. If you are in the Songs Page you may tap on the mask icon to reveal the current song's title. 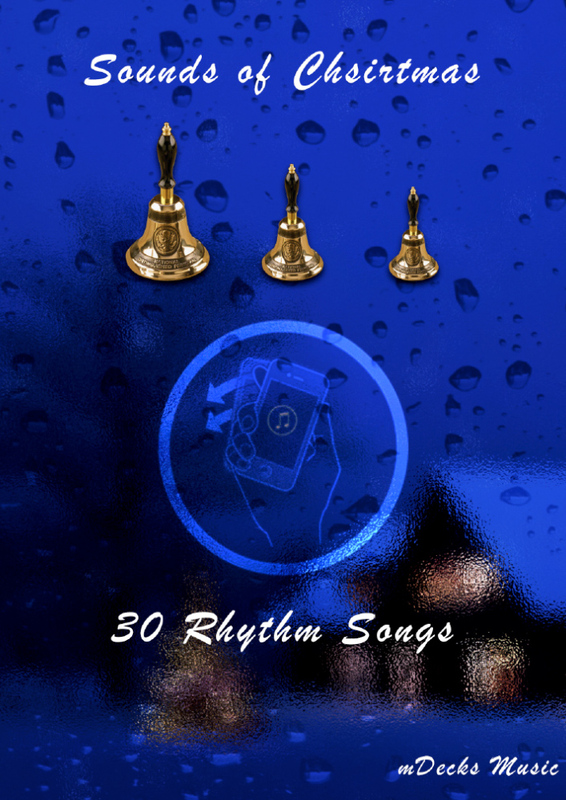 Also available is a rhythmic music score for every song. You can print the individually or all together at once. "It's you own Performance. Music is Rhythm."